If you follow my new tumblr account, you would have seen this particular beauty pop up on there last week. 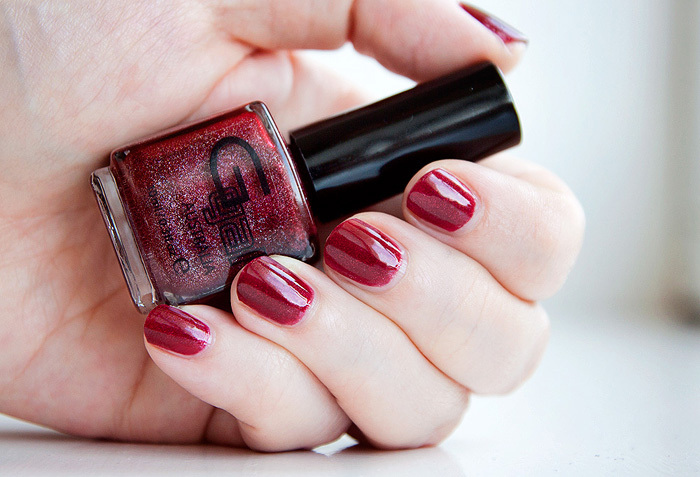 When I challenged you to guess the shade from the swatch most of you said China Glaze Ruby Pumps… well, you were wrong! 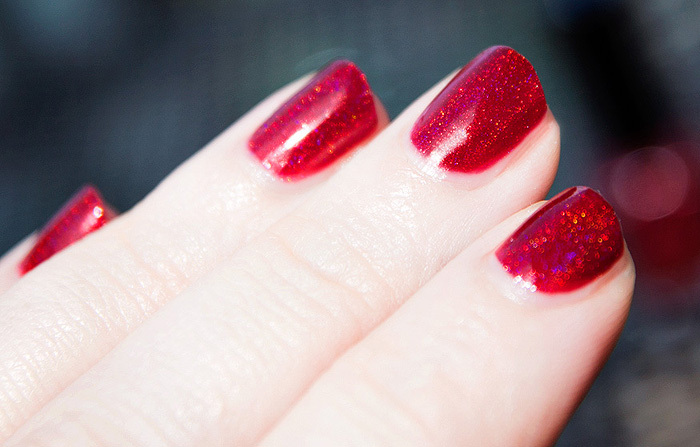 Glitter Gal Hot Chilli is just as sparkle-tastic but with the added bonus of some major holographic loveliness. Non-gritty and richly-pigmented, the warm slightly wine-y base will be perfect for autumn and has enough of a jelly type of quality to make it look all squishy and scrummy on the nails. Application was a dream, two easy coats later and the colour is fully opaque with a strong holographic effect in sunlight. In my experience, the Aussie-based brand (now available in the UK exclusively at PowderRooms) has always made some of the most beautiful holographic reds available and this one is no exception. Glitter Gal Hot Chilli is priced at £10 for 10ml and is available to buy online at powderrooms.com, this one’s a limited edition shade so if you want to get it in your collection in time for Autumn, be quick! There’s no place like home! *clicks heels together* Very Dorothy! Glitter Gal Hot Chilli looks interesting! There’s no way I would be able to pass that hot color up!